Sekiro is filled with tons of dangerous creatures that won’t hesitate to kill you on sight. One of the many bosses you’ll come across is a large serpent who’ll block your path early on in the game. 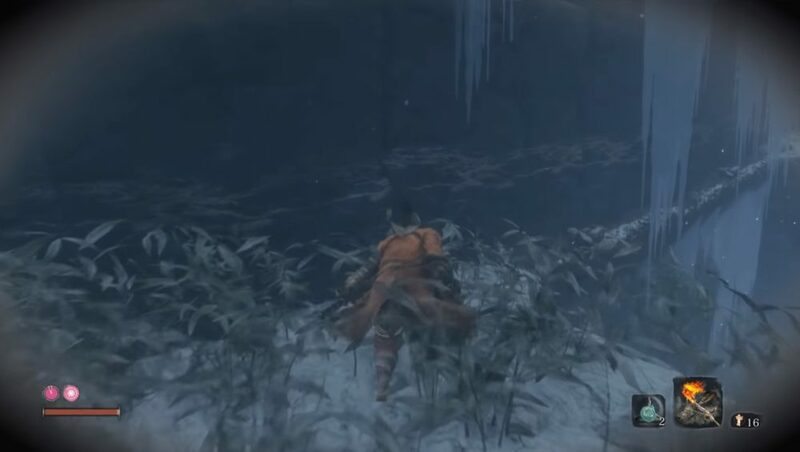 If you’re having trouble getting past it, here’s how to beat the giant snake in Sekiro. 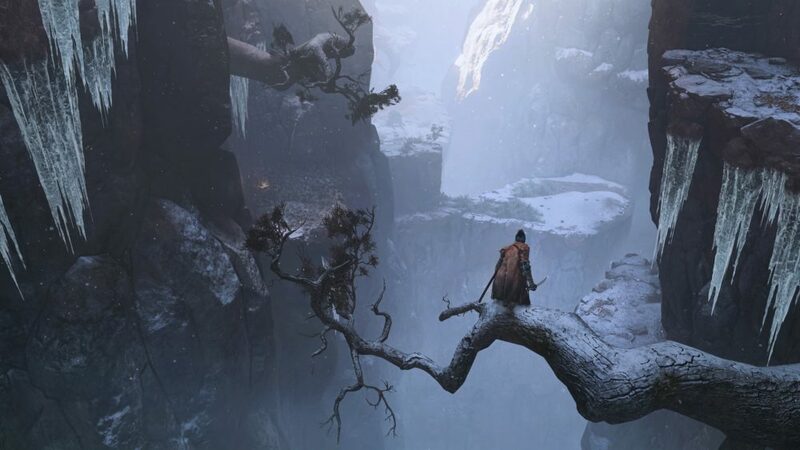 As you make your way through the glacial landscape in Sekiro, you’ll have to jump off a cliff and swing over to the other side of a ledge. 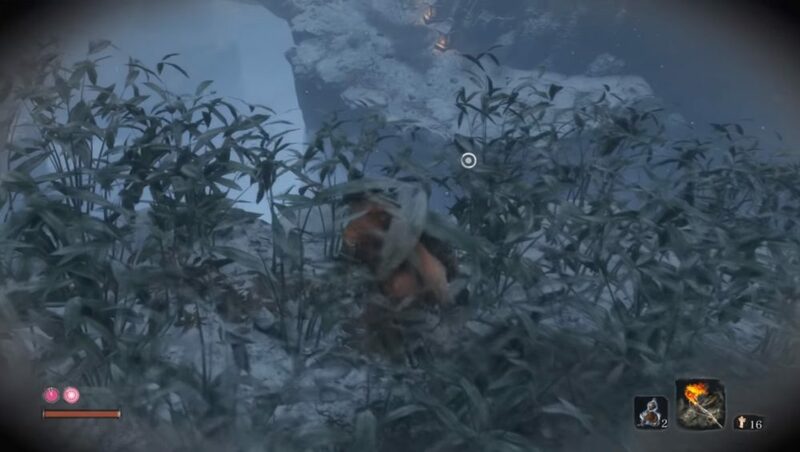 From there, you’ll have to swing on the protruding branch on the opposite end of the ledge you jumped on, which will lead you to a patch of grass where the giant snake is waiting in Sekiro. Once the coast is clear, look straight ahead and find a ledge you can swing up onto. 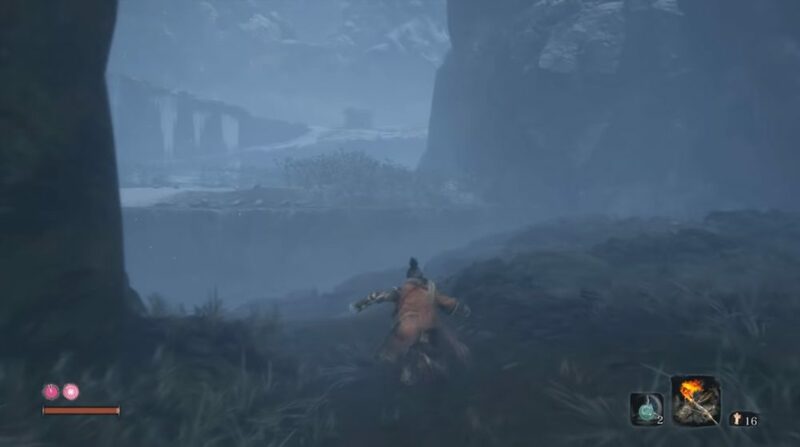 This is your chance to escape the snake and make your way through the map in Sekiro. When you’re there, keep running and head through the tunnel. You’ll wind up on a short cliff which you’ll want to jump off, and then take a left until you come across a ledge with a patch of grass. 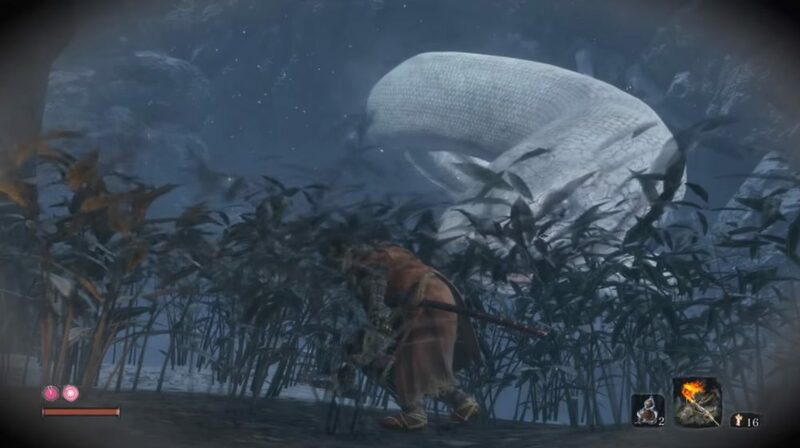 Creep through the grass and keep a lookout for the giant snake of Sekiro swimming through the sky. It’ll drop down and start crawling near the grass, so wait for it to leave. When it’s gone, head over to the wall and look for a small opening where you can walk. Hug the wall and slowly make your way to the other side. Again, you’ll want to wait for the giant snake to leave before moving again. From there, you’ll find a lone palanquin near you which you can enter and wait inside. The giant snake will circle around and peer at you from the outside. Once you see its eye, strike it from the inside to cause some major damage. 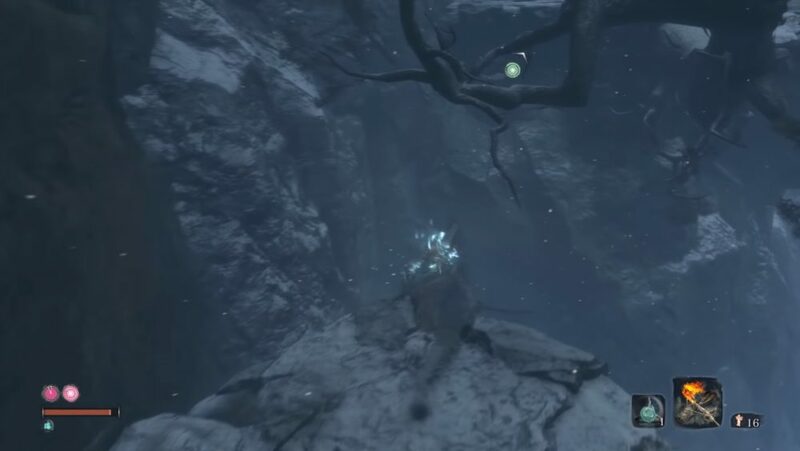 Use the newfound commotion to then turn around and make a beeline for the branch behind the palanquin and make your escape in Sekiro. From there, you’ll want to keep heading up until you come across a tunnel which will eventually lead you outside of the giant snake’s territory. Make sure that avoid any incoming snake bites, or you’ll have to start climbing the same wall again. 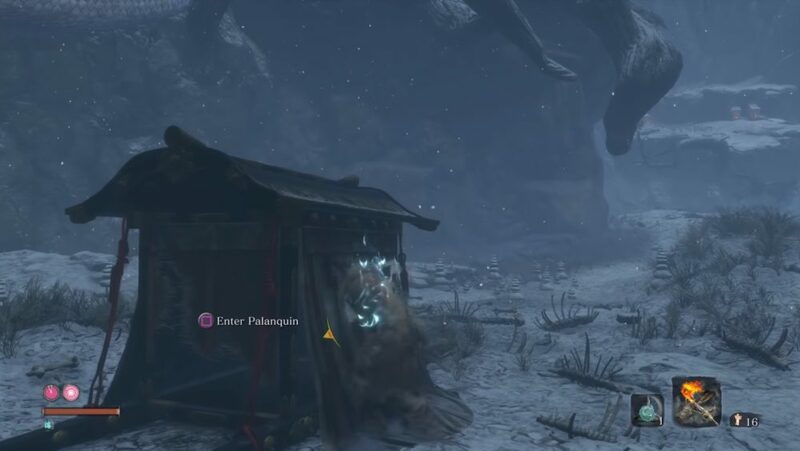 That about covers everything you need to know about how to beat the giant snake in Sekiro. 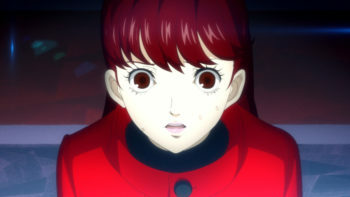 For more tips and tricks on the game, be sure to take a look at our expansive wiki. 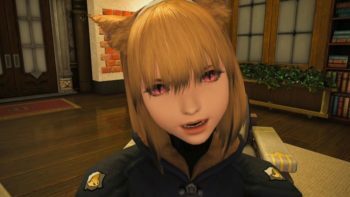 We’ve got tons of other guides to help you, such as how to beat Lady Butterfly, how to raise attack power, how to loot enemies, and much more.